Robotics integration in manufacturing has become an industry standard, and Cannon Equipment is able to accommodate nearly any robotic need in your facility. Using robotics reduces labor costs and the potential for repetitive motion injuries. Cannon Equipment has designed and developed robotic applications that require little to no down-time while reducing product damage and waste. 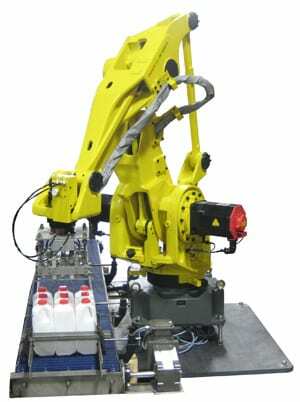 These highly versatile robotics require less hard tooling adjustments when the size or shape of packages or containers change which further decreases down-time and overall costs associated with running the robot. Take a look at these videos, to see Cannon Equipment Robotics in action!